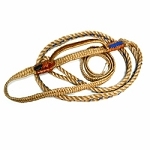 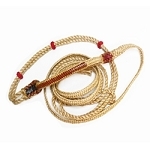 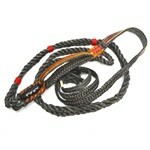 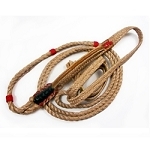 Barstow Bull RopesAll ropes have plenty of leather in the handhold, block and riser. 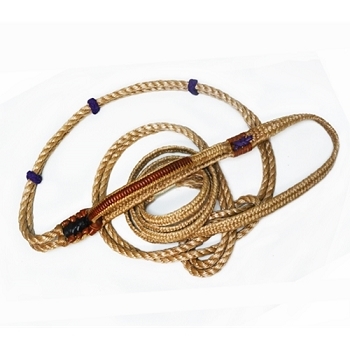 The stock (opposite end of handle from block) is also leather laced on every rope. 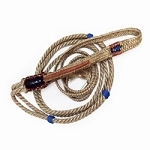 Every handle is plaited hard, tight and uniform. 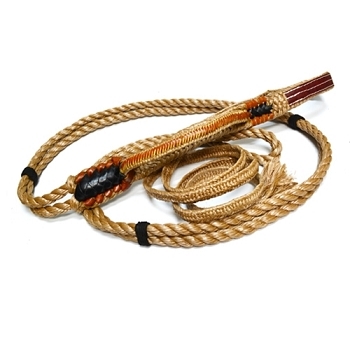 Made of the very finest brown poly rope.